The final CLIPS conference concludes today with Silvana Muscella, Trust-IT Services, bringing forward the results of PICSE and the early conclusions of HNSciCloud surrounding cloud procurement for the public sector. Cloud Infrastructures for the Cultural Sector: Shooting for the Moon? The Europeana Cloud project partners are looking for benefits, good practices, lessons learned, challenges and failures of current and past cloud projects to appraise their own experiences and observations within the fair wider perspective. 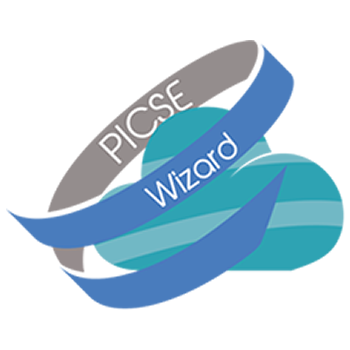 Therefore who better than PICSE & HNSciCloud can help Europeana drafting recommendations related to the procuremnt of cloud services? Open Science is a key priority of the Dutch Presidency. The Netherlands is committed to open access to scientific publications and the best possible re-use of research data, and it would like to accelerate the transition this requires. Bob Jones, PICSE & HNSciCloud Coordinator, was invited to present the PICSE results and the new HNSciCloud project in the "data infrastructure" session. Around 40 representatives from public research organisations and European cloud service providers attended the HNSciCloud Pre-Commercial Procurement Open Market Consultation & PICSE Final Event, that took place on the 17th of March 2016, at CERN in Geneva, Switzerland. Sara Garavelli, Trust-IT Services, presented the PICSE results and the Roadmap call to action. The event was useful to collect live feedback on the Roadmap Call for Action and to recruit 2 contributors that participated to the editing of the Roadmap. The e-IRG Workshop took place, 9 March 2016 in Amsterdam, The Netherlands. Bob Jones , CERN & Coordinator, PICSE ,chaired the session "Towards better public procurement of cloud services in Europe" at Cloudscape 2016, Brussels. Some topics on the agenda included "Challenges in procuring cloud service" and " How joint procurement can speed up adoption" . PICSE at the Open Day Event: Towards the European Open Science Cloud presenting cloud procurement best practices and its upcoming Roadmap on Cloud Service Procurement for public research organisations. Building on the success of achievements in the areas of research, education, policy support and certification, the Cloud Security Alliance hosted the 4th annual CSA Congress EMEA with the support of Fraunhofer-FOKUS, one of the most relevant organizations in Technology Innovation in Europe. Once again CSA Congress EMEA attracted a unique mix of thoughts leaders, policy and decision makers representing the key industry players, cloud customers, (private and public buyers, global enterprise and SMEs) and the R&D community.